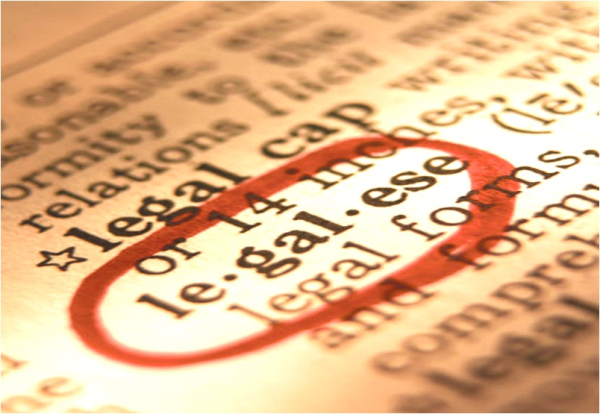 Legalese (noun) – the formal and technical language of legal documents that is often hard to understand. Since its inception, the use of peculiar legal terms has become a legal writing rights of passage. Are the terms effective? Yes. But, whether they are really needed is up for debate. Young attorneys often face this decision with uncertainty. Whether to replace the murky legal terms with clear language or stick with them in an effort to show that they too can write just as confusing is the question. This article advocates for the deletion of “such” terms. The piece is extremely informative and persuasive, as Bryan Garner does an excellent job of thoroughly explaining the reasoning for his position. Listing numerous sources on the definition/use of each word and why it should be banned. Keeping a banned-word list is hardly unique to newspapers. The novelist Ambrose Bierce kept a “Little Blacklist of Literary Faults,” published nearly a century ago. He despised committed suicide, preferring instead killed himself (or herself). He likewise disapproved of decease for die, executed for hanged (or put to death), expectorate for spit, inaugurate for begin, prior to for before and so on. He wasn’t fond of genteelisms. No real stylists are. Legal drafters could benefit from a similar verbal blacklist—a simple list of words that do nothing but blemish the documents that contain them. Learn them and ax them. This entry was posted in Chalk Talk and tagged Bryan Garner, confusing legal terms, legal writing, legalese.